The AMANZI girls went on a wild adventure to Peru to explore the former Inca Empire. Climbing to Machu Picchu, the ruins of an Incan city in the mountains among the clouds, the girls found so much inspiration from the phantom of the lost civilization. 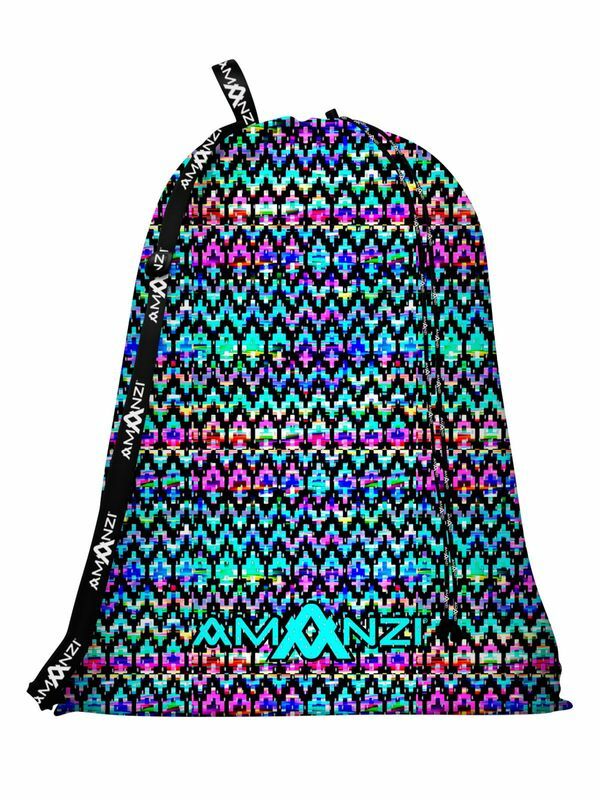 The Incan art of creating powerful and energetic patterns went into the design of the Inca Princess mesh gear bag. Each zig zag serves as a stairway to help AMANZI girls to energetically thrust forward to achieve their dreams. If there is one thing you can learn from the Inca Empire, that moving mountains may not be as rewarding as living among the peaks.